The ECOSYS M6635cidn color multifunctional printer elevates desktop power and flexibility to the next level. 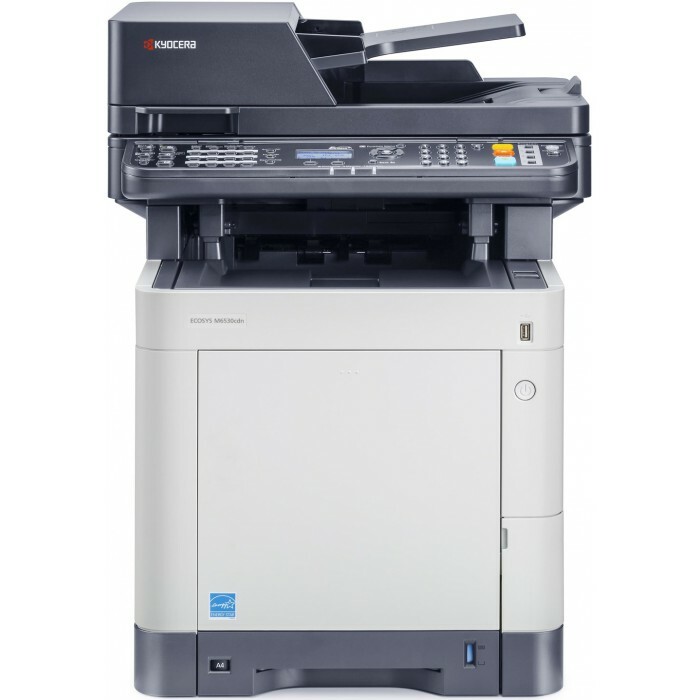 Superior output at speeds up to 37 pages per minute in black and color, plus productivity enhancing business applications powering document imaging across the workgroup. Print, copy, scan and fax capabilities from a single device bring added convenience, streamlining hardware requirements in a small footprint. A tablet-like color touch screen adds effortless operation at the device while optional wireless printing and standard Apple AirPrint™ capabilities address the needs of a mobile workforce. The result is a document solution that is highly efficient yet still budget conscious.